Oh my I am soooo anxiously waiting for Love Delivered! 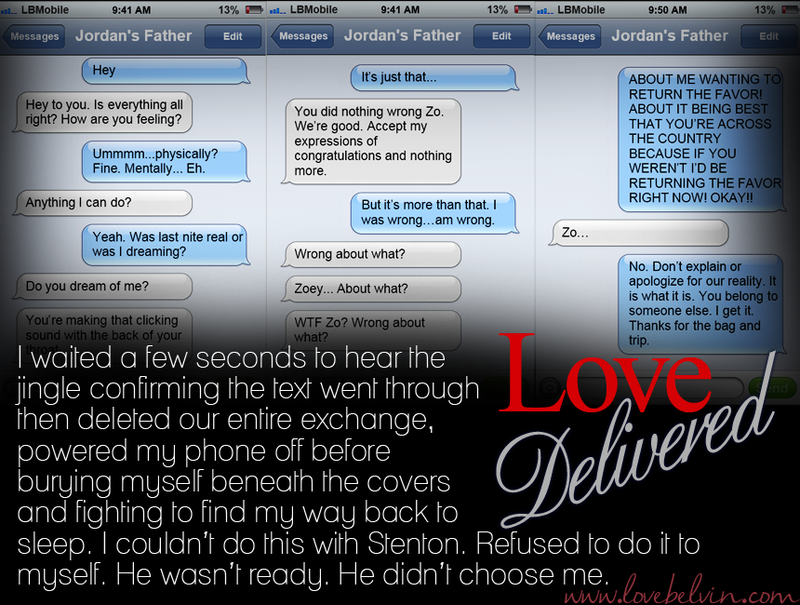 I so hope Stent and Zo realize the love they have is meant to be shared and experienced together with each other! In have not been disappointed by any of your books/series! Yes you made me love you! Can’t wait to read what’s next! Thanks, Christina! I appreciate your support! THIS. IS. AWESOME!!! Wow. It takes a lot of talent to make text messages so powerfully emotionally grabbing. My hat’s off to you! I appreciate that coming from a peer, Michele. Thanks!